With the recent acquisition of my Iro and Buba, being the frugal buyer that I am, I largely complained about the price of the fabric. 4 yards of chiffon for N4000+ seemed like too high a price, although from the comments some of you posted, I should even have been happy for that price! But anyways, it got me thinking... I could never be a seller of anything! I can work in Marketing, in fact I have worked in Marketing, but SALES? Heck no. It's just not for me. Let me tell you why. If I'm making a large amount of profit, I feel like I'm stealing money from my clients. Yes yes, I know, it's a dumb way to think. Because if the customer is willing to pay a high price for what I'm selling, then obviously I would be selling (pun intended) myself short by charging a low price. Here's an example: if I buy shoes from the States for $20 and bring them back to Nigeria to sell, I would feel sick if I sold them for anything more than N6000, which is roughly $36. It's the dumbest thing because I should obviously insert the cost of my travels and/or shipping, but I would feel like I'm ripping you off. Isn't that silly?!?!?!?! This the main reason why I don't buy a lot of things here either, because I know what the real prices would be. Maybe I should think about what the cost of flying out would be, and then use that to buy what I need to. I would like to take this opportunity to announce the conscious uncoupling of myself and former flame, Flavor. We had a long run together and we will always remain friends and amicable towards each other. Unfortunately for Flavour, another Igbo brother has captured my heart for the moment. Just like with Flavour, this isn't a physical attraction - just an audio one, as in I'm attracted to his voice. Unlike Flavour though, this new flame scares me. I'm a little afraid because he seems quite dark inwardly. The way he looks, his videos, and even some of his music is questionable to me, but I just can't seem to stop listening to his album over and over and over again! This seems like a dangerous love to me. In fact, my favorite song on his album has to do with smoking weed (I'm assuming kush is weed, but I really don't know). And I'm only vaguely sure it's weed he's rapping about, because I don't understand Igbo. No, I will not be starting a WCW series, but today's my mum's birthday and I thought, "Why the neck not?" My mum is my eternal crush! She's the first woman I ever met, and I've loved her from the beginning of my time. My mum has been there for me at every turn - in my good, bad, happy and sad times. Remember my post about Robin Williams, where I briefly mentioned a bout with depression? I know my family in general were praying, but my mum really stood in the gap for me. She got her friends, our Bible group, our pastors and others to pray along with her for me. She has consistently prayed for me and my siblings, even going so far as fasting on different days for each of us! My mum has worked so hard to achieve a lot in her life, and at a point, put her career on hold for the sake of her children. That was one of the most selfless things she could have done, and I thank her for it. Even now, she's on her way to getting her own life back on track, and I pray that God rewards her with a very quick reward. I wasn't going to put up this post now, but I have too many pictures from me and Cakes' Dubai trip and then my subsequent jaunt over to my other homeland. I was going to post those first, and then post this one after, but the pictures are too nice jo, so I'm sharing now. If you guys have noticed, I don't really wear that much traditional attire, and when I do, I prefer them as separates or in "Western" styles (like here) - pencil skirt with a t-shirt, or trad top with jeans, etc. It's not that I don't like them. It's that going to look for materials, then getting a tailor to sew, and the waiting period where you think your tailor has kidnapped your outfit, etc just stresses me out. Anyways, the point of my rambling is that I finally got my very own, first, grown-up Iro and Buba! My girl, Stylefash would wear them day in and out if you allow her, and I just couldn't understand why. However, after this past Sunday, I must admit that I'm a convert. I'd like to buy bunches and bunches of material and make like 50!!! Please recommend places or businesses where I can buy good quality, but responsibly priced materials :) This one was gotten from O and G, a new business owned by a family friend. I'll get her contact details and share here. I chose this print because of the peacock details and I thought the color would look fabulous against my dark skin. Do you agree? "Daddy just wait, only 10 more pictures pretty pleeeeeeeeeeeeeease"
Cakes sent me this entry from Joyce Meyer's devotional on Youversion and I edited it to share. It's easy to complain that you can't be happy now because you don't have enough money or you're single or you're too fat or you're still looking for a job or you failed a class or two... the excuses are many. But you know what? Yes, you have problems, just don't let them dictate how you live today. 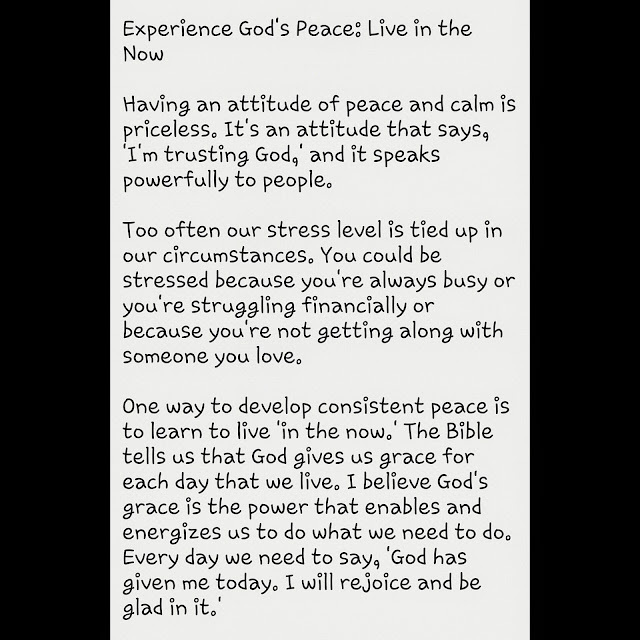 CHOOSE joy, CHOOSE peace, CHOOSE to trust God today and make it a daily practice. Consistency is key. If you can, find 3 things to thank Him for, everyday e.g. life, water, somewhere to live, family, plantain!!! Whatever it is, LIVE TODAY! I just want to share some events this weekend that I think would be fun to attend. Yeah yeah, social butterfly, blah blah blah. It's good to go out and connect with people. JUST REMEMBER to take your hand sanitizers and keep a small bottle of hand wash handy (hehe, hand - handy, *chuckles* I slay myself!!!). 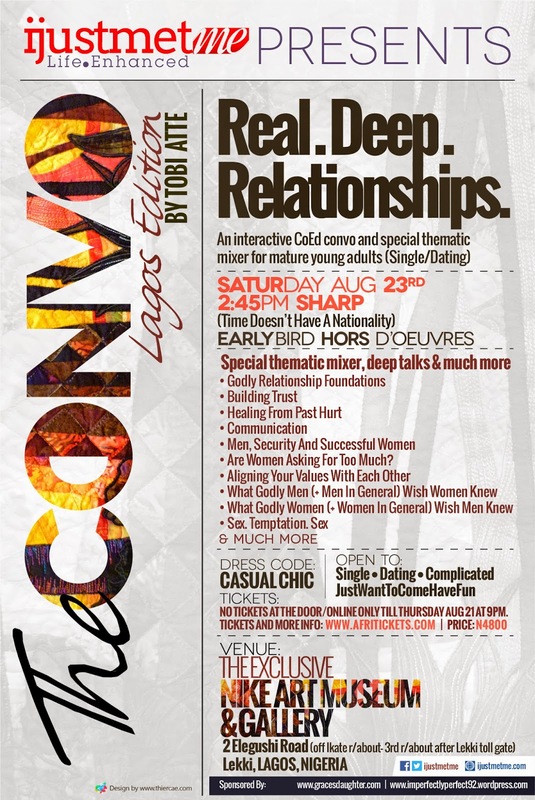 The first event is called THE CONVO. It's an interactive mixer for mature adults who are single and dating (and they said us Marrieds can come too, cos I was about to go and picket the event for D.A.M. aka Discrimination Against Marrieds :p). Anyways, the flyer's below and it looks like it would be a fun event. You have buy tickets BEFOREHAND at Afritickets before 9pm TODAY, and the event starts at 2:45pm this Saturday at Nike Art Museum and Gallery. The next event is a book reading by Ebi Akpeti. 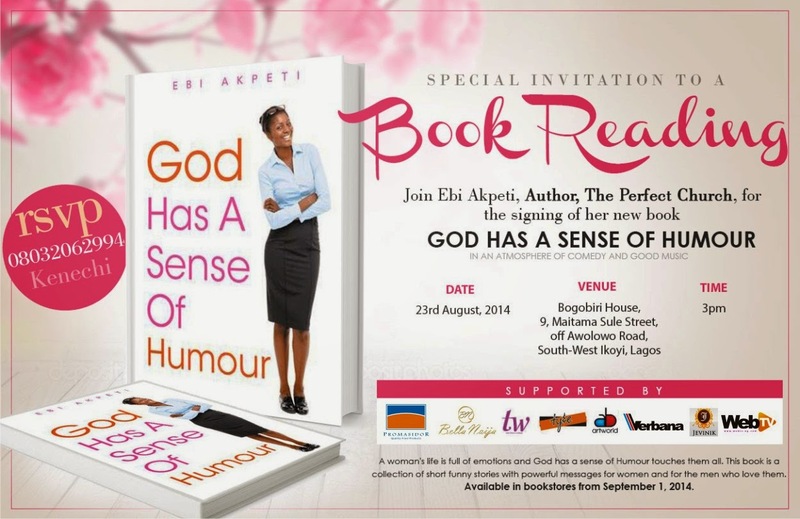 She has written "God Has A Sense of Humour," which is a collection of short funny stories, that includes powerful messages for women and the men who love them :) This event starts at 3pm, also on Saturday, at Bogobiri House in Ikoyi. There'll be music, comedy, and you can always get drinks and food there. Ebi was one of the participants during the TW Fitness Challenge from last year. And that my friends should ensure you have a fun and uplifting weekend, if you live in Lagos. Yo yo homies yo yo! Anyways, so I thought, what better way to usher in the weekend with some videos from Paul Simon!!!! I hope you have a happy time. Love ya, but God loves you waaaaaaaaaaaaay infinity times more! SOUNDS OF SILENCE (SIMON & GARFUNKEL) I love this song!!! If you'd driven to work with me this morning, you would have seen me humming, oohing, mmming, and whistling along to Bobby McFerrin's song... all this with tears in my eyes. As soon as the song started, I remembered that Robin Williams, who tragically killed himself this week was in the video. I thought to myself, "This was a man who brought laughter and joy to so many people, and yet had pain within him." It's really sad, and I wish he didn't have to go like that. If you're feeling sad, alone, depressed, for whatever reason, please talk to someone. Please tell someone. Hey, you can even email me! But don't go through it alone. I've been there and it literally feels like you're surrounded by darkness - it took the prayers of my family and others to God before I was able to get out of that funk (I barely spoke to anyone for 3 weeks and it's one of my most painful memories, and always brings tears to me). And with that, here's the titular video - my heart goes out to Mr. Williams' family. I hope you've gotten off to a great start this week! Mine is being quite wonky to be honest. But I'm refusing to be stressed out anymore. If it works out, fine. If it doesn't, that's their business - a customer will be lost for life, and there are other vendors. Anyways, I digress. My weekend was full of activity [again]. Honestly, I really feel like I hardly do anything at all, but my friends and family always joke about me being a social butterfly - so NOT true. I rushed home after work, so that Cakes and I could head over to my dearest Lin's house to chill. We ate (yummy prawns, snails, spring rolls, samosas), drank (mojitos, champagne, water, etc), chatted about Ebola, and watched a family video. I forgot to take pictures, so just try and imagine it in your head. Meanwhile, I decided that night that I was sick and tired of my twists. I determined that my front edges were being twisted and dry, and so I made up my mind to take them off that night. However, when I got home, I was exhausted and saved that activity for the next day. Yup yup, moving right along to Chapter 19! To me, this speaks about the value of planning. Yes, you might have a brilliant idea and want to run with it immediately, but you need to take a chill pill and explore how best to go about your idea before making any rash decisions. This can be applied to business ventures, wedding planning, your occupation, finances, etc. Lol, imagine that God has been telling you to stay away from a particular boyfriend or girlfriend, but noooooooooo, you insist that he/she is the one. The next thing, they cheat on you and break your heart, and you go and cry to God asking why He allowed such hurt to touch you. Lol, wouldn't it be funny, if God said, "Haha, you're a joker sha." I think this verse is very true. People in power, or people who are rich and/or very generous tend to have a lot of friends and "friends." Do you love yourself? Yes? Are you doing what you can to acquire wisdom, develop yourself professionally, spiritually, relationally, financially, etc-ally? No? Ooops, you don't love yourself. Dear Lord, I thank you for the progress made in my life, and I pray for your grace to get even better. Especially when I'm driving. Please forgive me for my terrible display this morning. Amen. and he will repay you! I've mentioned a loooooong time ago how I feel about giving, especially to the poor, especially in Nigeria. There are beggars on pretty much every road, and while I choose to give to only disabled people or children, sometimes I wonder who I think I am to decide who is "worthy" or not of my giving. Of course, there are those who are only out to get money for drugs or alcohol, but is it my place to judge? At the end of the day, I'm obeying God's word and giving to those who are less fortunate, right? bringing security and protection from harm. Alrighty ladies and gentlemen, any verses that speak to you that I might have missed? Or would you like to contribute to my discussions? Ooops, I stopped again. I'm soooooooooooooooo sorry. I made a mental note every day until today, but decided to just do it today, instead of thinking about it only. So where were we? Chapter 17 was the last post in the series. I meant to do Days 18 to 20, but this turned into a longer post than I planned. In light of the recent Ebola outbreak across West Africa, I'm using the first part of verse 1 to ask why anyone who knowingly has the disease or has come in contact with someone with the disease refuses to report themselves to the authorities or be quarantined. I hear someone in Lagos who was at risk of having ebola refused to be quarantined, and now she actually has the disease!!!! She has family members who are now at risk! Is it fair?!?!?! People, DO NOT BE SELFISH!!! Let me not even lie, I feel more comfortable when there's a certain level of money available to me (which is relative because I'm sure some people consider me poor, whereas other consider me rich - haha, yeah right). The point is, when my account drops below a certain balance, I start to panic like the world is about to fall out of the sky. SO WRONG!!! 13Spouting off before listening to the facts is both shameful and foolish. I decided to quote from 2 versions because it gives a more weighty message. How many times have you started talking and arguing and jumping to conclusions before you've even gotten the full story? I know I have! 16Giving a gift can open doors; it gives access to important people! Watch what you say. Your words ARE powerful. Sometimes, I even extend it to my thoughts, because before you say it, you've thought it. If you can vanquish negative thoughts towards someone else, then you won't even utter the words. I have to admit that a lot of times sha, I have to ask God for forgiveness from some mean things in my head. 22 A man's greatest treasure is his wife - she is a gift from the LORD. Isn't this verse so true?!?! When you've found a true friend, you've basically found someone as good as, if not better, than even your own family members. I actually think it's doubly sweeter if/when your family members ARE your friends, e.g. my siblings and parents are among the best friends I could ever have. There's some form of communication EVERY.SINGLE.DAY. I also have other non-family members who are so close, I call them cousins or sisters, because a lot people don't understand why we're that close. What are your favorite verses from Chapter 18? I first heard about the 5 Love Languages a few years ago at my church in Atlanta, but never really paid attention to it. I finally checked mine when Cakes and I started dating, and I felt like it would end up in marriage. I had bought a book, "Things I Wish I'd Known Before We Got Married," by Gary Chapman (who also wrote the 5 Love Languages). One of the very first exercises was to go to the website to figure out which Love Language I "speak" the most. How about after Cakes and I got through the questions SEPARATELY, we both had the same top 2 love languages! Now, people generally express their love in one or two dominant ways, and that is the way they receive love too. For instance, if Acts of Service is my dominant love language, I would feel particularly loved if Cakes did the dishes, and I would feel that I'm showing love by making him breakfast when he's running late for church. If Physical Touch is your dominant love language, you're more prone to giving hugs or high fives, and you feel close to your significant other when he/she kisses you or gives you a foot massage (lol). It makes things a lot easier when people know their love languages, and those of their friends, family and loved ones. If my friend speaks Words of Affirmation dominantly, she might not appreciate my sending her flowers as much as me writing a letter or email to lift her up. Or if my father's love language is Quality Time, no matter how many S5's I buy him, he won't appreciate them as much as my visiting him and spending time with him. BTW, some kind times, I think my dominant love languages are changing o. I'm going to take the assessment too. Yay, these are my thoughts on the verses that most stood out to me. The ones I've selected can be applied to friendships, family and relationships. I think they are definitely apt for marriages too. 9. Love prospers when a fault is forgiven, but dwelling on it separates close friends. 14. Starting a quarrel is like opening a floodgate, so stop before a dispute breaks out. 19.Anyone who loves to quarrel loves sin; anyone who trusts in high walls invites disaster. Truthfully, in our marriage, because I can be dramatic, sometimes I tend to blow up tiny issues and this can cause a disagreement or even lead up to an argument. I think that with time, I've gotten better and try to let things go before I start getting overly upset. But there's still room for improvement, and I'm glad I got a reminder today from this reading. I follow a young lady (see me calling her young lady, as if I know how old or young she is) Studio of Modé, on Instagram, and she's an artist/illustrator here in Nigeria. She started posting a comic series, titled J.A.N.D. 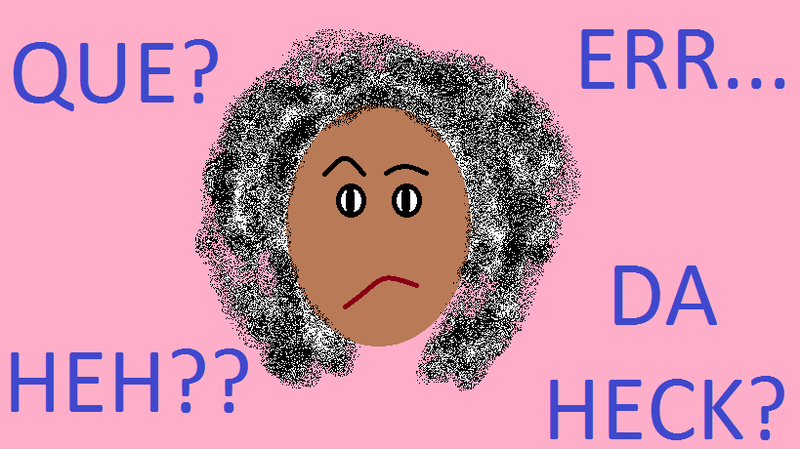 which is an acronym for Just Another Nigerian Drama. It's only 7 "episodes" in, but I think it's pretty interesting so far. Add caption. 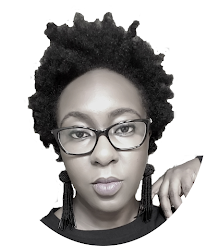 Meet Sade... Q&A with Sadé Q: Which celebrity do you get mistaken for? A: No one. But I've been called the black Kim K a few times. I'm fine, she's fine so that's all good to me. Happy reading and have a fun weekend! I got a broadcast this morning that Bitter Kola has been verified internationally as a cure against Ebola. That eating it slows down or inhibits growth of the virus in your body. PLEASE NOTE: In 1999, BBC posted an article about this topic. This is what people are using to broadcast this information now, 15 years later. According to the World Health Organization and Centers for Disease Control in 2014, there is still no verified cure for Ebola. That is not to say, vaccines or drugs aren't being researched. But there is nothing that is clinically verified for use right now. Please DO NOT spread that broadcast if you get it. The information is outdated. Noooope, there isn't an event for beauty and makeup enthusiasts that I want to promote. On the contrary, I am in the market for beauty products. Right now, I order all my makeup from Atlanta, and whenever the 'rents are on their way back, they drop off my items for me. However, I'm beginning to think that it might be somewhat easier to simply source my products locally. I don't mean I want to pay for international products with a 300% markup. I'm interested in trying Nigerian brands. 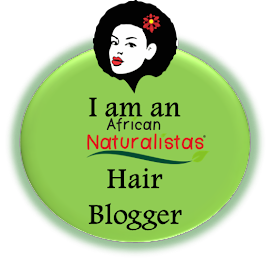 I've seen a lot of good reviews of Sleek products, House of Tara and a few others. But I'd really like to hone in on one or two brands and use them exclusively, for the most part. Ooooh, what would be optimal is a brand that has a studio where they can teach the regular woman (not unlike moi) how to use makeup - a day face, and night face. Kindly leave suggestions in the comments please! *air kisses* #Ebola is still real.